Curious Creatures is an interactive installation designed by Jimmy McGilchrist. After two appearances in Australia, the Lismore Lantern Parade and Splendour in the Grass Jimmy was invited over to South Africa for the installations first international viewing. I was lucky enough to be invited along by Jimmy to document the project from start to finish. The last few days has been pretty crazy but i’m hoping to get these videos up every few days. The installation itself is very impressive so I hope I can capture the experience in the videos. So keep a look out, like Curious Creatures on facebook and check out the Curious Creatures website for more info. 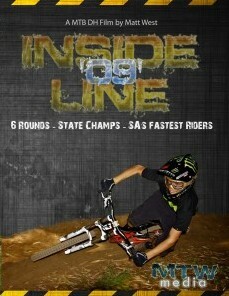 The Anthill guys have done it again. 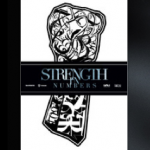 Strength in Numbers starring Andrew Shandro, Anthony Messere, Adam Billinghurst, Brandon Semenuk,Cam McCaul, Gee Atherton, Graham Agassiz, Matt Hunter, Rene Wildhaber, Thomas Vanderham, Wade Simmons, Ryan Howard, Stevie Smith, Rachel Atherton, Aaron Gwin, Alex Revelas, Tyler Mccaul, Greg Watts, Jaime Goldman, Kyle Jameson, Connor Gallart, Finn Finestone, Claire Buchar, Chris Kovarik, Bernardo Neves Cruz, Ian Morrison, Matt Hebert, Jack Iles, Dan Atherton, Steve Peat, Tracy Mosely and Ludovic May. Buy or rent it now on iTunes.